So Aside from having caught a cold last night, and feeling super icky today, I'm moving! I'm leaving my current place, to a new place with some old roommates! And that is awesome. What's not awesome, however, is that my nail polish is packed. =/ A few bottles remain out, but for the most part it's all put away. Sad day. This being said, I must apologize for my absence, and the absence that will be. Lot's of stuff going on and I just don't have the time at the moment! It won't be too long, though! I'll be back before you know it! Hey everyone!!! Heading off to San Diego in just a few short hours! Like...2! Here is my first design at some nails for this awesome event. I was so at a loss, and wasn't expecting this to look kinda like snow on grass when I imagined it. Oh well!!! 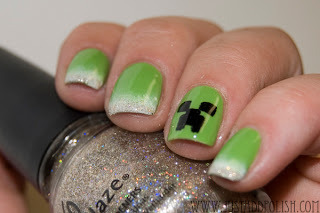 Minecraft Nails YAY! 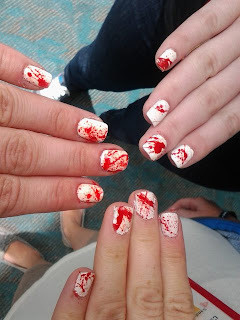 I was going to go along the lines of a different monster for each nail, but eh, this was easy and less time consuming!! I picked up new colors today for this! 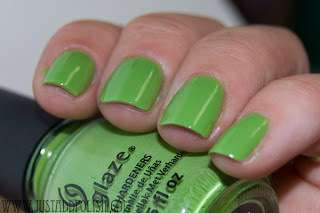 China Glaze Gaga for Green (what an AWESOME name!) and China Glaze I'm not Lion (the glitter). With that we have Venique Wingtip White and Dominating Thigh Highs. 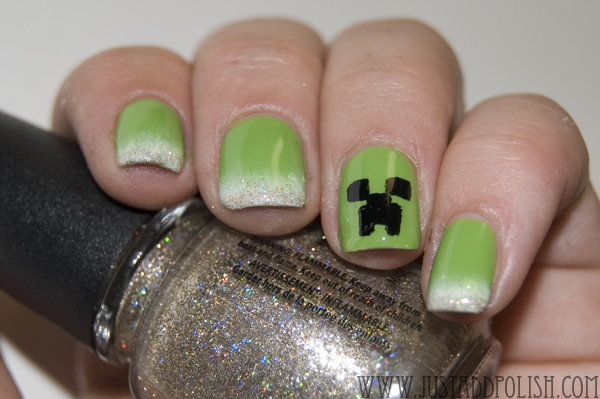 Again, this gradient was done with the dual color on the sponge. I am loving that technique! 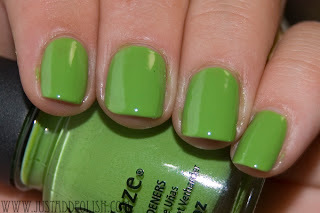 These next pics are just China Glaze Gaga for Green swatch. You can tell how much topcoat I ended up (mostly accidentally) using afterwards. Anyway, I managed to find some time to do some artish. 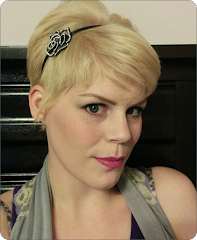 I was inspired by the ad for Sephora on imgur. I'm sure many of you have seen it. I haven't found it recently, so I don't even know how close this is to it! 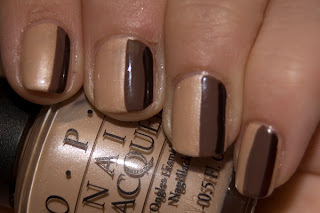 This is OPI Sand in my Suit, China Glaze Street Chic, and Zoya Nina. Anyhow, this was done with tape, then freehand when I realized I was too lazy to finish the taping! you can tell which is which, I'm sure! 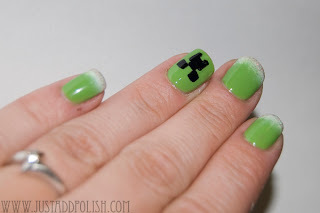 So I have been out of the nail community for a bit, but I am in need of a splurge...any suggestions on something that came out recently?? Let me know!! PS - Comic Con. I'm going. I need something for my nails to signify my nerdiness. Dexter? Minecraft? Portal?? Helllp!